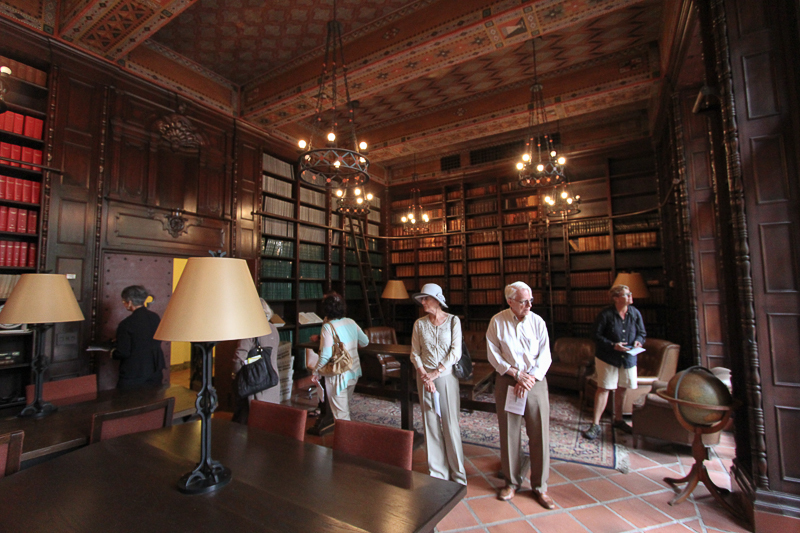 May 23, 2013 - Today's adventure brought us to Caltech in Pasadena, CA for a tour of its architectural treasures. 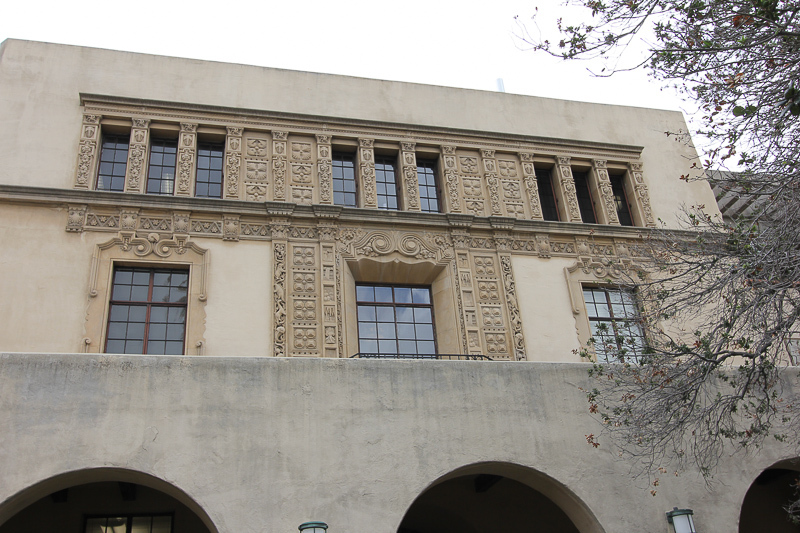 These tours are given by the Caltech Women's Club and are focused on the early campus (pre-World war II) of the California Institute of Technology. 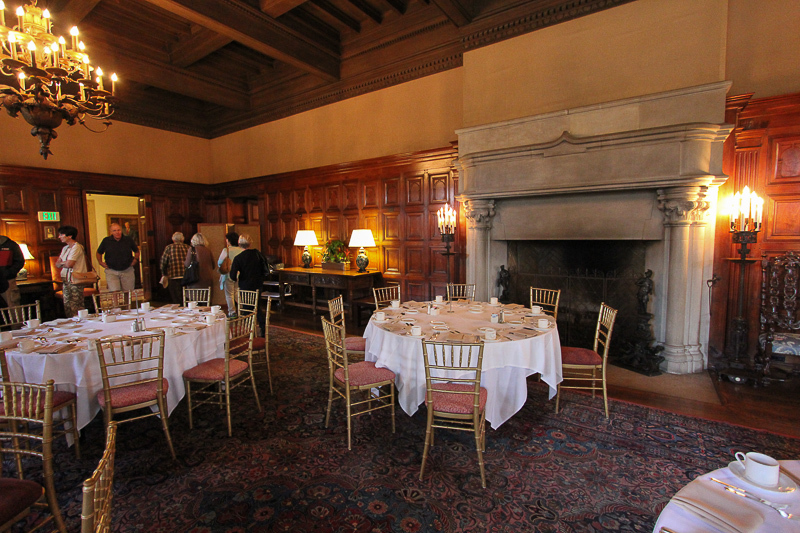 The tour began in the Athenaeum Building, Caltech's faculty club. 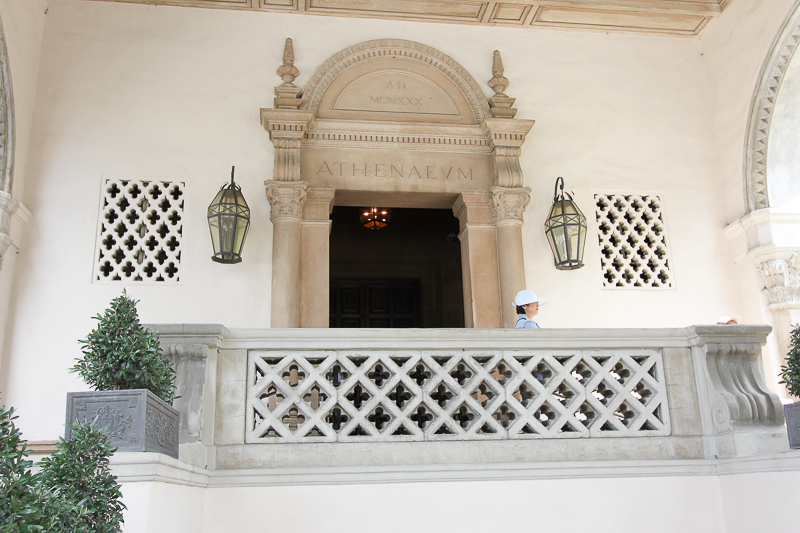 In Ancient Greece, the word Athenaeum referred to buildings dedicated to Athena, the goddess of wisdom, and in particular to a temple in Athens where poets, philosophers, and orators gathered to read and discuss their work. 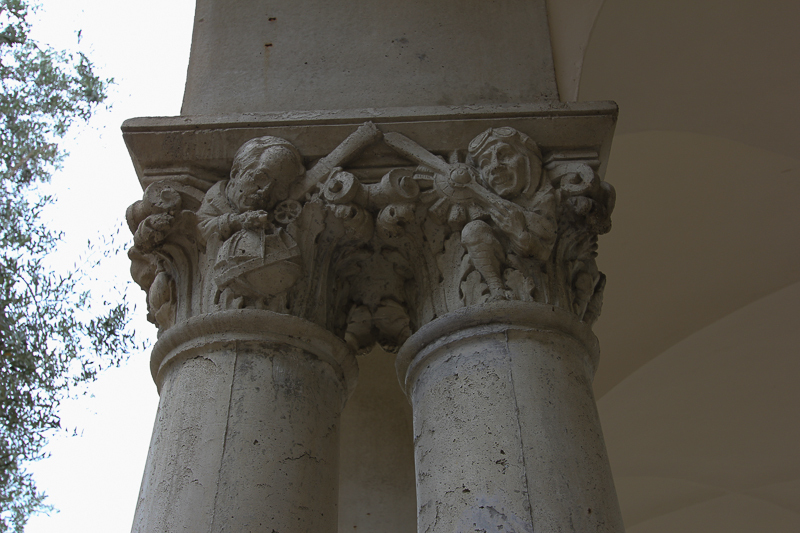 Over the centuries the term also has applied to numerous academies and learned societies. Sir Walter Scott and Thomas Moore established the most famous of these, The Athenaeum of London, in 1824. 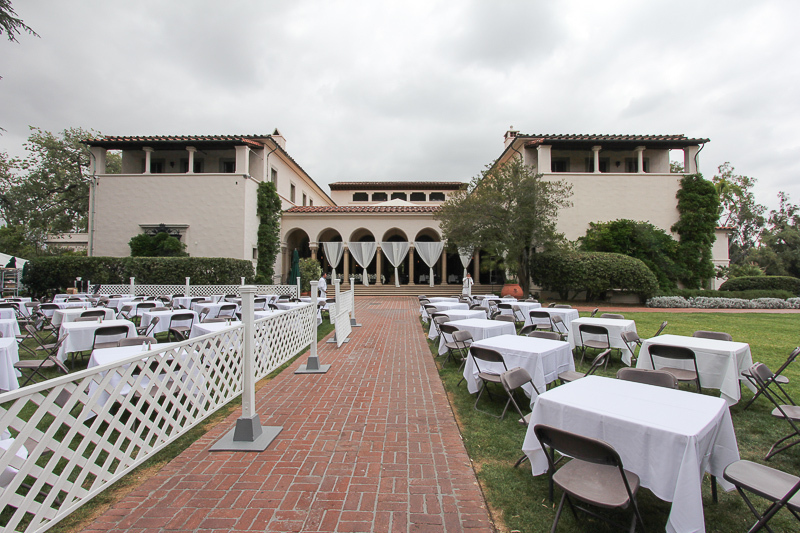 As early as 1921, George Ellery Hale, renowned astronomer, Caltech trustee, and director of the Mount Wilson Observatory, envisioned an Athenaeum in Pasadena modeled after the club in London. The Athenaeum opened in 1930 although its first formal dinner was delayed until February 4, 1931, with Albert Einstein as one of the important guests. Three Nobel Prize winners, Albert Einstein, Robert A. Millikan, and A. A. Michelson, attended that dinner. 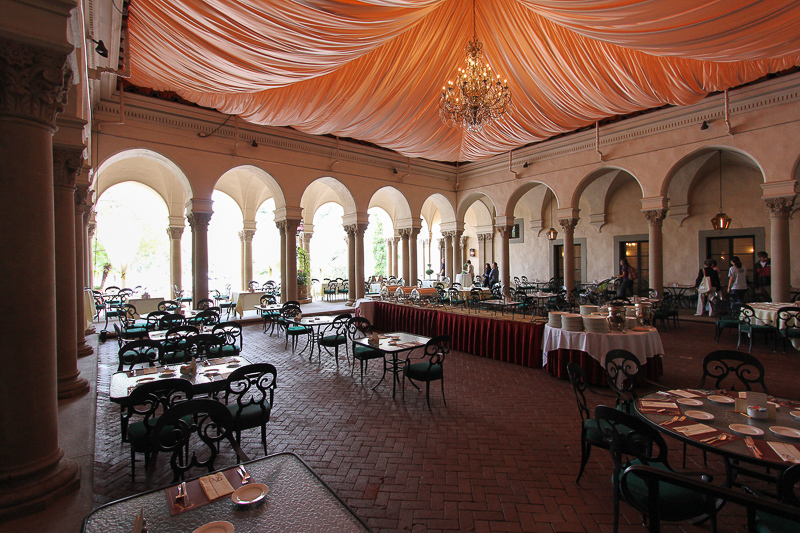 In addition to the dining and function facilities on the lower floor, there is a hotel on the second floor with 24 rooms and 2 suites. The suite on the right hand side is the Einstein suite, where Albert Einstein resided for two winters in the early 1930's. 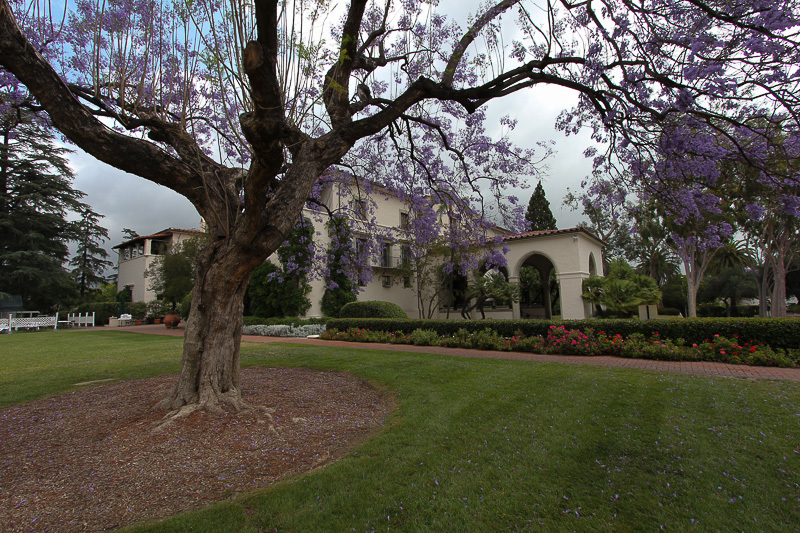 On the left is the Millikan suite named for Robert A. Millikan, a Nobel laureate (mentioned above), who was the Chair of the Executive Council (essentially president) at Caltech from 1921 to 1945. After the Athenaeum, we toured most of the early campus. 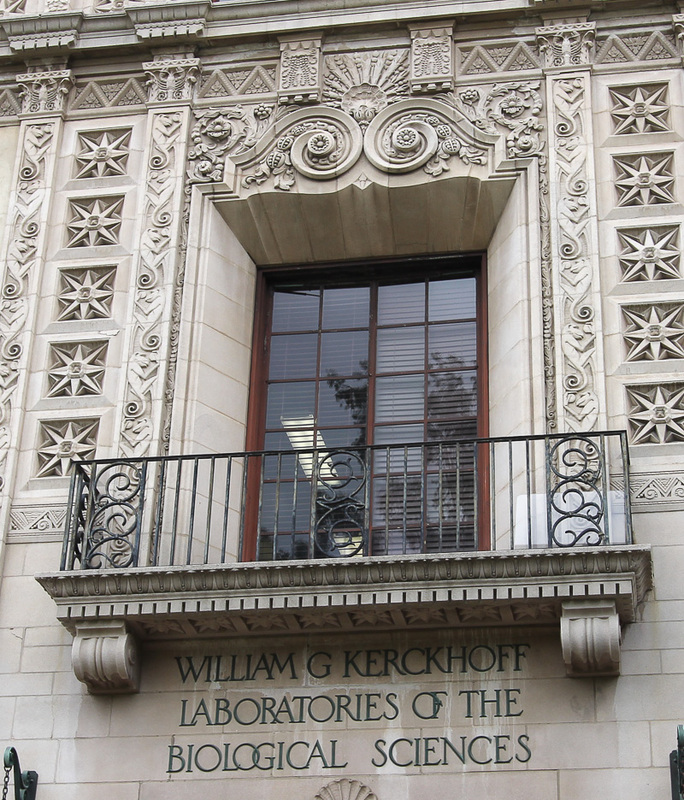 Bertram Grosvenor Goodhue was selected as the architect. 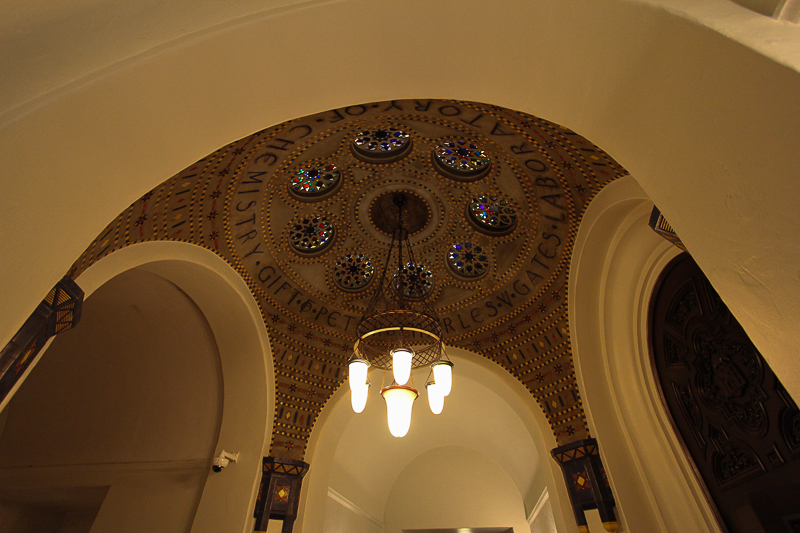 The theme of Goodhue's master plan was Spanish Renaissance expressed through the use of arcades, courtyards, reflecting pools, decoration and tile work. 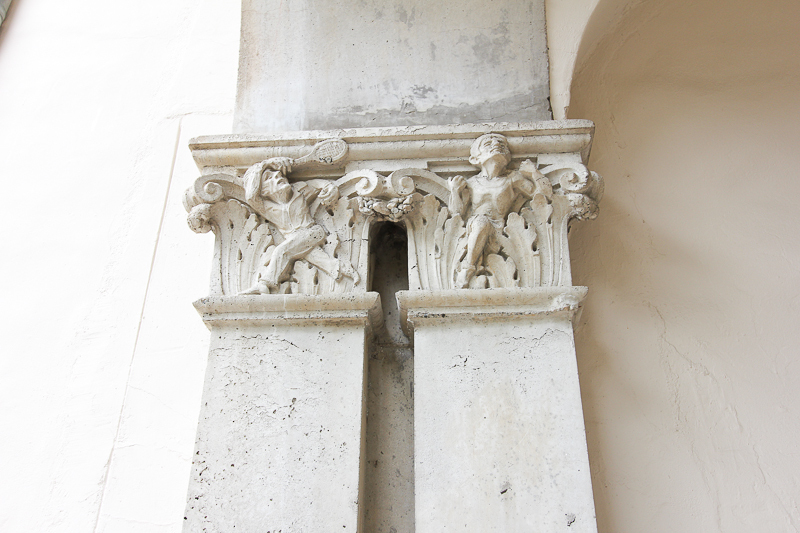 Rather than using standard Corinthian style columns for this courtyard, Goodhue created a column that could be called "Corinthian Comic." 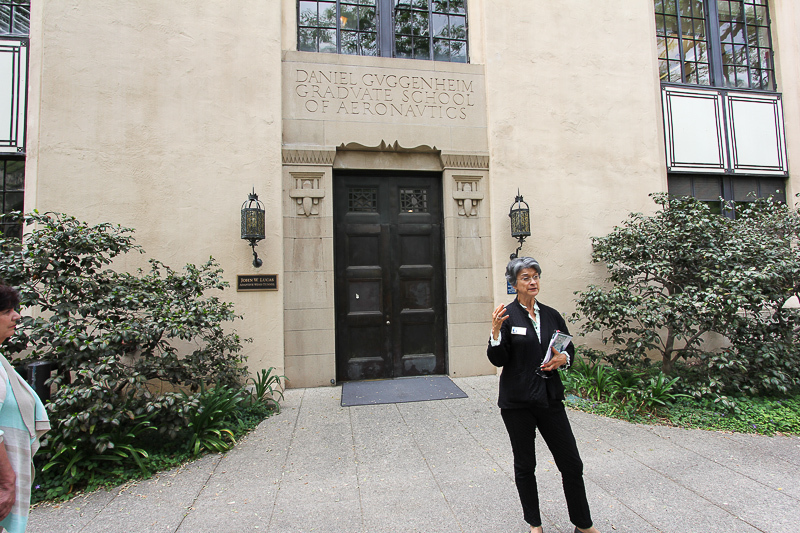 Our docent for the tour, Marilyn Diaz, in front of the Guggenheim Aeronautical Building. Note the two airplanes framing the doorway. 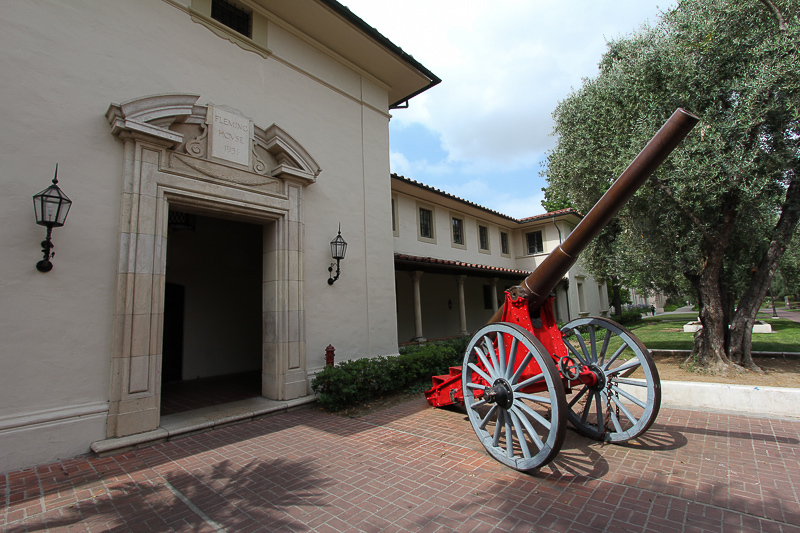 Caltech is home to the 1.7-ton, 130-year-old Fleming Cannon. The short story with the cannon is that it is French, and was made during the Franco-Prussian War, but, it was never used. 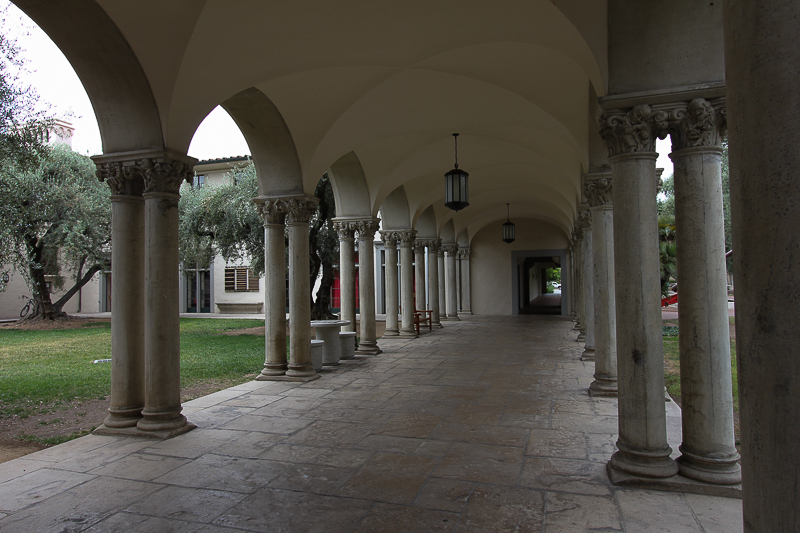 Over the years the cannon had many successive owners until it was gifted to Caltech. 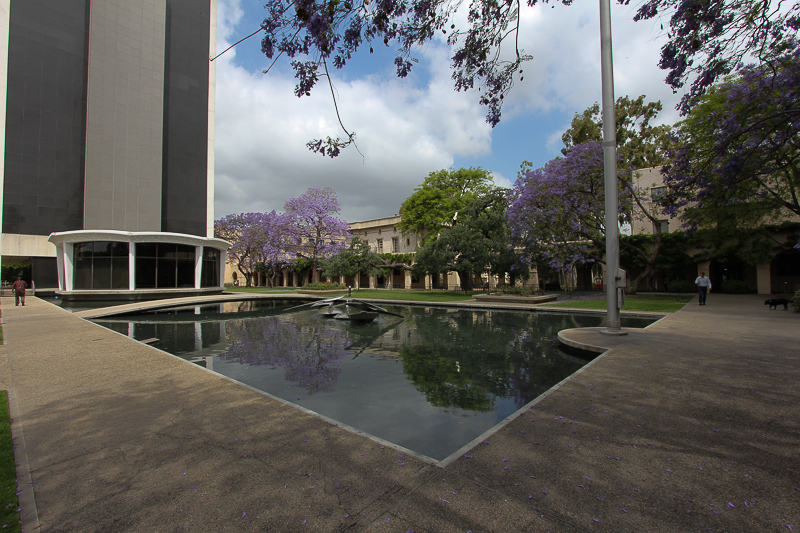 However, due to the long going rivalry between Caltech and MIT, it was subsequently stolen by MIT students who managed to truck it to their Cambridge campus. 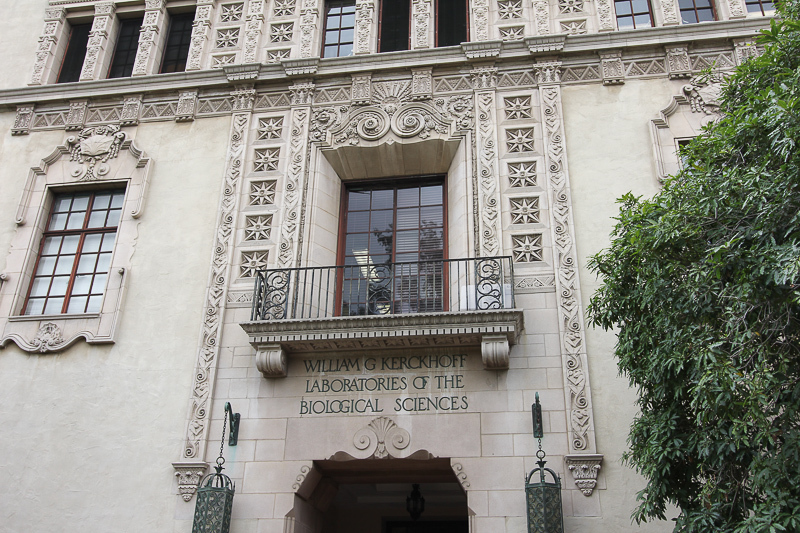 When the Caltech students learned of its whereabouts, they hatched a plan to steal it back, and they did. It is now permanently chained to the concrete deck to prevent this from occurring again. For a full story of the "cannon heist," click here. 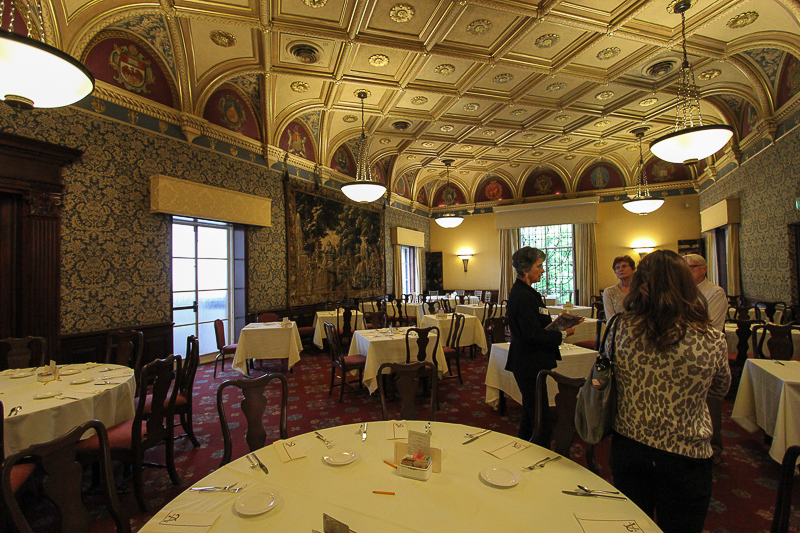 The architectural details were all conceived by Goodhue. Each building's facade gives a clue as to what is being studied inside. In this case, the monkeys indicate biology. 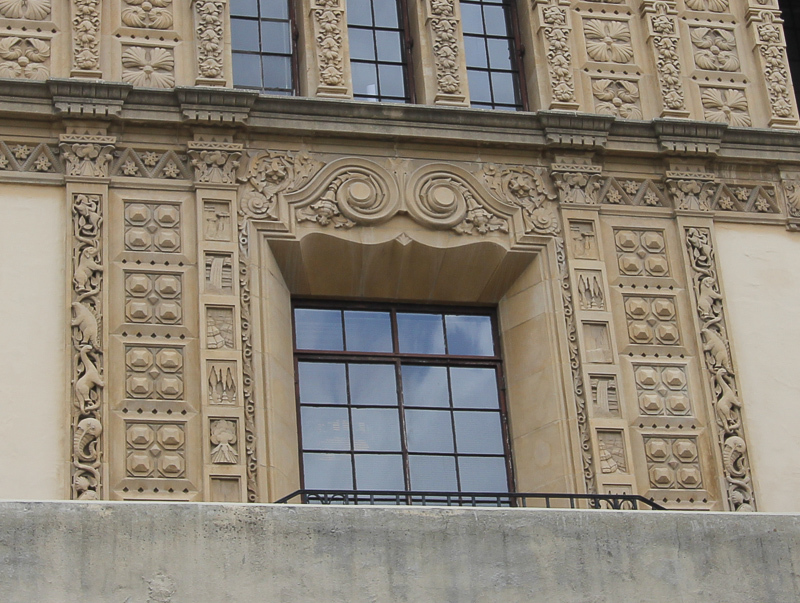 And this relief indicates that the study within the building is of geology. The outside panels show the progression from an amoeba to sea creatures, dinosaurs, and finally a man on horseback, while the inside vertical panels show volcanoes, waterfalls, etc. 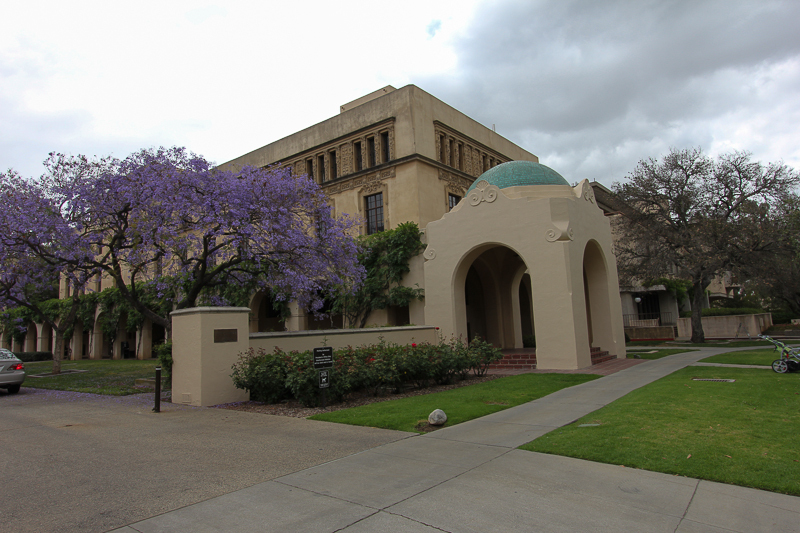 Caltech was founded as Throop University in 1891 and renamed the California Institute of Technology in 1920. 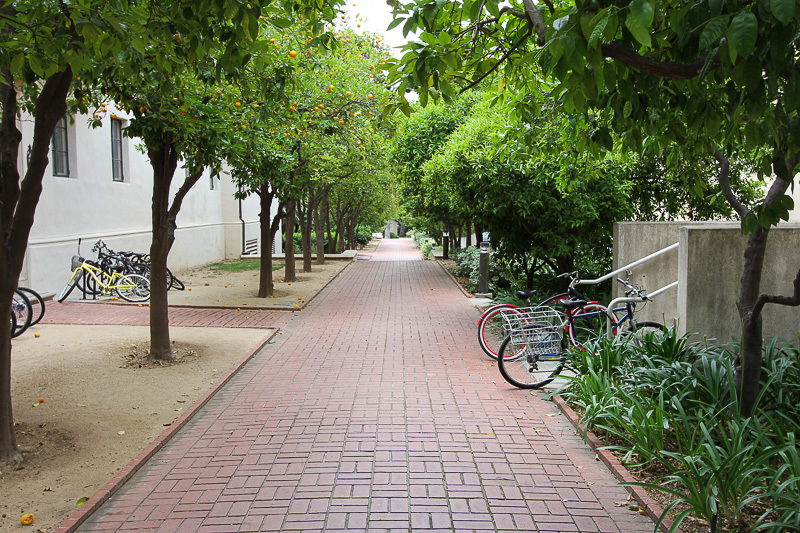 Despite its small size (978 undergraduate students and 1,253 graduate students), its alumni and faculty include: 31 Nobel Laureates, 57 National Medal of Science Recipients, 13 National Medal of Technology Recipients and 112 National Academies Memberships.